Manchester United have offered star goalkeeper David De Gea a new £375,000 per week contract to keep the Spaniard at the club, according to The Sun. The former Atletico Madrid stopper is widely acknowledged as one of the best in his position in world football and has been a key man for the Red Devils in recent seasons. 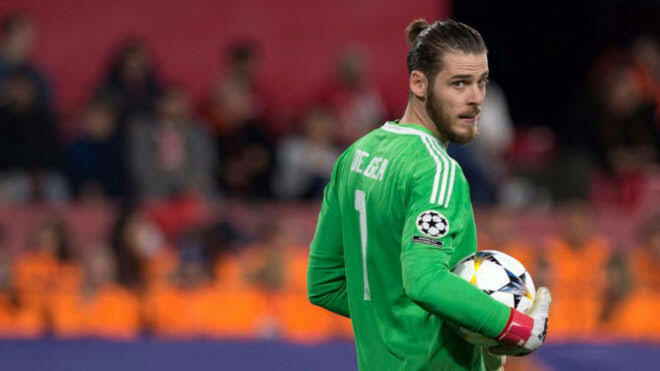 Speculation linking De Gea with a United exit has been in the press over recent years, with Real Madrid consistently named as a suitor. However, with the Spaniards opting to sign Thibaut Courtois over the summer, pressure has been removed on the Red Devils. The latest report suggests United are ready to make De Gea the club’s second-highest earner after Alexis Sanchez, with a new deal paying £375,000 per week. Jose Mourinho’s men have had a tough start to the new season, with the Spanish goalkeeper one of only a handful of players that can hold their heads high in 2018-19. Keeping De Gea at Old Trafford seems essential if United are to get back to their former glories, with the star clearly a leader and star performer for the Manchester club.